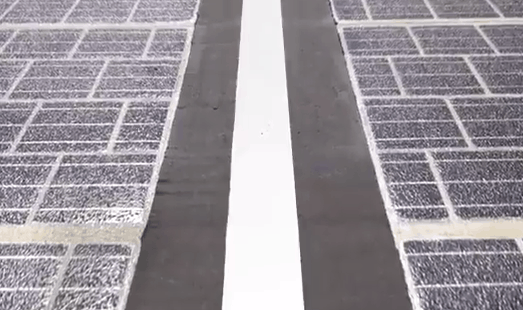 There’s been a lot of information in the news lately about solar highways and we’re please to report on how one of the trials is going over in China. Solar roads are growing in popularity and we are seeing more trials pop up as the technology improves and becomes cheaper to implement. The myriad uses of solar roads (electric heating strips could melt snow, LEDs could warn drivers of any impending issues up ahead, or the roads could even charge electric vehicles down the track) mean there is a lot of research going on to try and make the tech tenable. Let’s look into it some more! Solar Highways in China and worldwide. We wrote about solar roads in China last year and are pleased to report that we have an update on how the solar panel trial on a major highway in the city of Jinan has gone. The trial was lead by Pavenergy and Qilu Transportation with Pavenergy making the solar panels for Qilu, which is a state-owned company who operates the highway the solar road section is installed on. The panels are made up of a complex polymer not unlike plastic – which means they have slightly more friction than normal roads – but this can be adjusted during the manufacturing profess to ensure it’s the right surface for cars. According to Today Online, normal asphalt (aka bitumen) roads cost around USD $120 per square metre each 10 years to resurface and repair. The solar road companies Pavenergy and Colas are hoping to reach USD $310 – $460 per square metre to install the solar roads – with around USD $15 of electricity being produced by each square meter of solar road each year. This means they could pay for themselves in comparison with conventional roads over a 15 year period. The problem now is the longevity of the panels – can they withstand big trucks driving over them every hour for 10 years? “If it can pass this test, it can fit all conditions,” said Mr Li Wu, the chairman of Shandong Pavenergy. Professor Zhang Hongchao, an engineering expert at Tongji University in Shanghai is helping Pavenergy with their research, which they expect to have further information on within the next 6-12 months. If you’re interested in reading more about solar roads then try our article about solar roads in Tokyo which are currently being installed for the upcoming Olympics in 2020. Another company rivalling Pavenergy and Qilu is a French company named Colas which has already developed 25 solar roads and solar parking lots in France, Canada and the USA.